Running with KCTC has given me an entirely new appreciation for the running community. Prior to becoming a track club member, I ran. I ran for fun, for fitness, for myself. Once I joined KCTC, I started running for the community, the dedication of the members and the comradery among all runners of different abilities. Making friends thru this community had become fast & easy. Recently I joined a new community of runners; I recently became a MARATHON runner! Training through the KCTC was vital, enjoyable & I looked forward to seeing all of my training partners, whether I actually ran with them or not. On Saturdays in Liberty, I run with a great group of people. 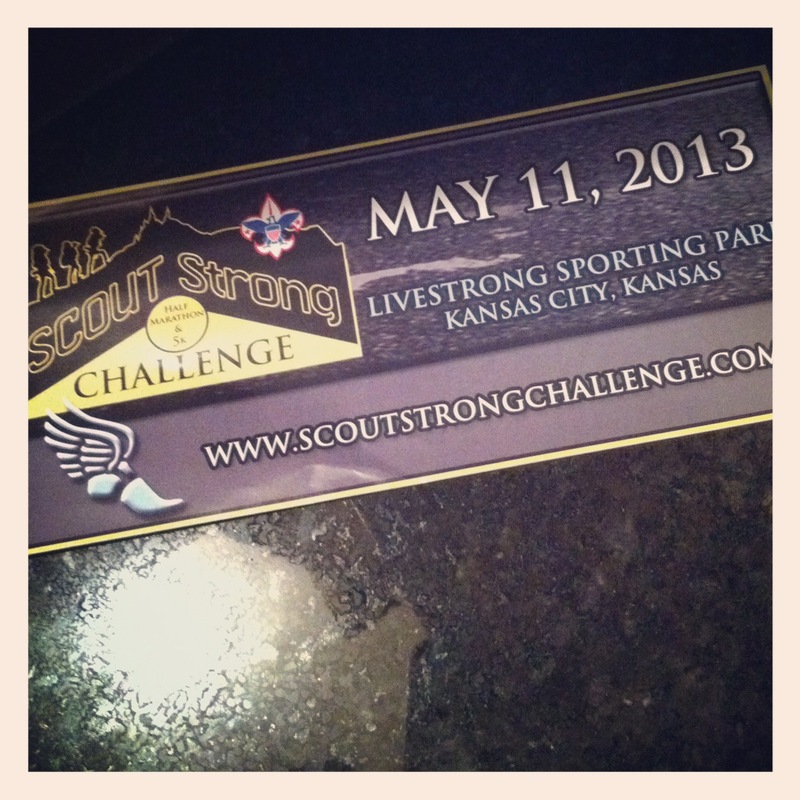 We appreciate where each started a year ago & the runners we have all become since. Several members have run marathons; some ran their first halves, 10Ks, or even 5Ks! On Mondays I run with a wonderful group. We start at the Brooksider & run the Trolley Trail. This group is a completely different type of group than Saturday’s. Finally, on Sundays I run with a variety of runners from all across the city, the Sunday Runday Group. Some from the Liberty group, some from different clubs. They are all amazing! And FAST!! I’m always the caboose, but I never feel a lack of support. When I first became a member of the KCTC, I joined the Beginners Running Group because my 14 year old son wanted to give running a try. After his time became consumed with school work & soccer, I continued to help out with the group of new runners & walkers. It was a nice way to meet new people, to see new runners achieving their goals, to see walkers turn into runners & to give & gain encouragement. We all have something in common; we are runners. We celebrate little victories & huge life events with one another. We socialize outside of our running groups, learn about running from one another and are each other’s biggest cheerleaders. I recently ran the 37th Marine Corps Marathon in DC. I had a few running friends there too. We all faced Hurricane Sandy; all had completely different experiences and were all eager to check on one another’s accomplishments. I got to see one of my running friends at the start of the marathon, where we encouraged & calmed each other. It was a great safety blanket to know I had KCTC friends out in the marathon somewhere… Since my marathon two weeks ago, I have only run twice. Neither of these two runs has been at my running groups. I feel like I’ve been struggling to get back into a running “groove” again. The feedback & encouragement I’ve gotten from my fellow runners is that I am not only “normal” in feeling this way, but that I will indeed get back into the swing of things when I’m ready. Knowing my running groups & running friends are there for me when I do, well… It’s invaluable. Becoming a part of a great running community is what makes all of my runs these days, worth it! I’ve seen average runners evolve into marathoners, marathoners become even faster & stronger & walkers become runners! Even my own son, who would rather pull out his own nails than have to run, has shown an interest in running his first half this spring. He seemed very excited about doing the run. Of course, he’s 14 & his attitude is subject to change at any minute. 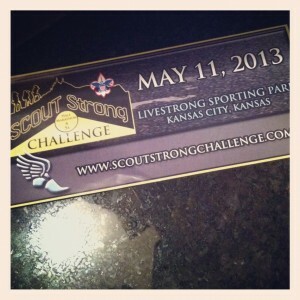 We’ll do the Scout Strong Challenge as a family if he’s ready & willing. To see a boy find a love in running is a most wonderful thing, even if he needs a generous push from the running community every now & then. Rejoining my running community is what I’m looking forward to most in the next couple of weeks, beeeeecause… The community is what made this runner! This post was written by ambassador Dianna Villigan. She works for Weight Watchers and is involved in the track club in several ways. She can be seen running with the Liberty Running Group on Saturdays if she is not out running or volunteering at a race!